As Kingsland celebrated 40 years of ministry this weekend, Pastor Ryan led us to consider a worthy prayer for a loving church. Philippi was an upper middle-class community with an international flair, much like our own community. Paul’s prayer for the church at Philippi serves as a wonderful pattern of prayer for our own church. Paul thanked God for the Philippian church’s participation in the gospel from the first day to the present. He expressed gratitude for all that God had done to guide the church through good times and bad. In the same way, God has faithfully guided Kingsland through good and tough seasons through the years. • Take a moment to thank God for His faithfulness. Paul believed the danger of compromise far outweighed the danger of physical threats to the church at Philippi. He prayed, therefore, that they would be filled with love and maintain a spirit of discernment lest they stray from the truth. • Take a moment to ask God to give you a wise and discerning spirit and the courage to stand strong for the truth of the gospel. Paul prayed that the Philippian church would yield fruit — both in regard to personal spiritual growth and winning the lost to faith in Christ. Kingsland is committed to a grand vision of reaching 10,000 homes in our community and beyond because we believe that homes saturated with the gospel can transform an entire generation. • Take a moment to pray that many more would come to faith in Christ in the coming years as Kingsland continues to love our community and the nations. 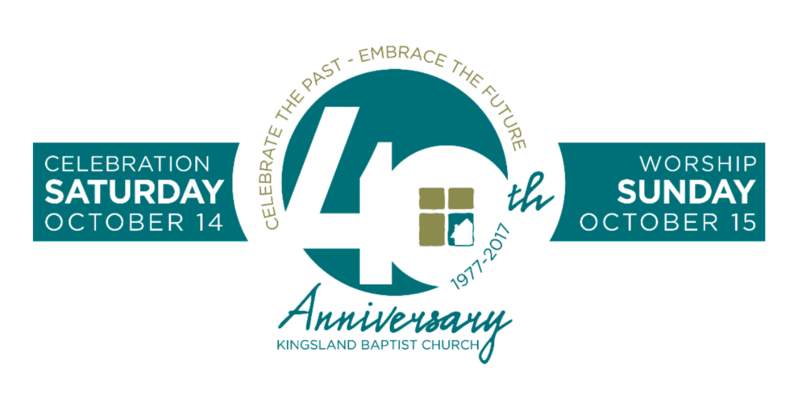 As we celebrate Kingsland’s rich past, determine to embrace the future and the role that God would have you to play in living a life of gratitude, standing firm in the truth of the gospel, and contributing to a legacy of fruitfulness. This entry was posted in Miscellaneous by KBC Faith Talks. Bookmark the permalink.